Link to the Orthodox Church In America website. 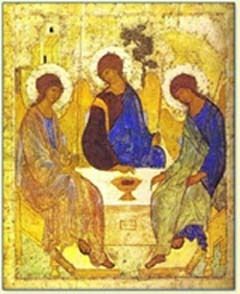 The OCA is the jurisdiction of Holy Trinity Orthodox Church. Link to the Greek Orthodox Archdiocese in America website. Link to the Antiochian Archdiocese in Amercia website. Link to Holy Resurrection Orthodox Church of Claremont, NH website. Holy Resurrection is a sister parish to HolyTrinity. This website has an Orthodox Church locator and has a lot of information about Orthodoxy. A weekly Orthodox radio program. A web site that contains many good articles about Orthodoxy and contemporary issues.